As a cook (whether professional or amateur), you should know how to properly measure ingredients to be able to serve perfect-tasting dishes. And I’m talking about exact measurements here – as guessing the volume of ingredients in a recipe can result in a less-than-perfect dish. So, now you’re asking: how many tablespoons in ​a cup? I know this seems to be a hard question, but it’s not. So, you can expect an easy and simple answer – right here, right now. Yes, it does involve a bit of math – but you can figure it out even if you’re not that good in math, ok? No worries. How Many Tablespoons In 2/3 Cup? To be able to solve the question on how many tablespoons in ​A cup, you need measuring instruments in the form of spoons. 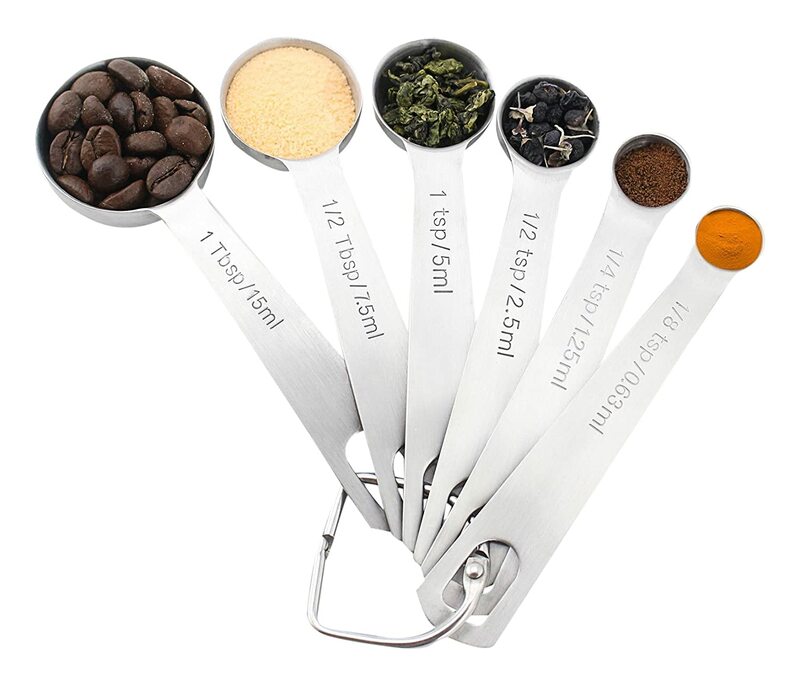 This cooking tool comes in a set of spoons in different sizes, and there are labels in each handle such as tablespoon measuring spoon, teaspoon, and milliliter. As both tablespoon and cup are measuring instruments for volume and not weight, the answer is indeed convertible (from a tablespoon to cup and vice versa). And this is applicable for both dry and wet ingredients. Below is a simple chart on how to convert cup measurements into spoon measurements. It also answers your question as to how many tablespoons there are in 2/3 cup. Note: How many teaspoons are in a tablespoon? 1 A tablespoon is equal to 3 Teaspoons. Click here (video) to understand the differences between a tablespoon and a teaspoon better. You saw in the above chart that 2/3 cup of ingredients is equivalent to 10 Tablespoons and 2 Teaspoons of the same. In a sense, we can also say that 2/3 cup is equal to 10 2/3 Tablespoons (remember, there are 3 Teaspoons in 1 Tablespoon). Now, let me guide you as to how to make the actual measurement in the kitchen using your measuring devices. I am guessing that the recipe you’re following calls for 2/3 cup of a particular ingredient, right? But you only have measuring spoons to properly determine the needed amount. Fear not – by the end of this article, you will be able to gauge tablespoons in cup measurements easily. I’m sure you won’t have any problem measuring out the 10 Tablespoons – that’s really easy, right? But hey, even the 2/3 part in the 10 and 2/3 Tablespoons measurement is easy. 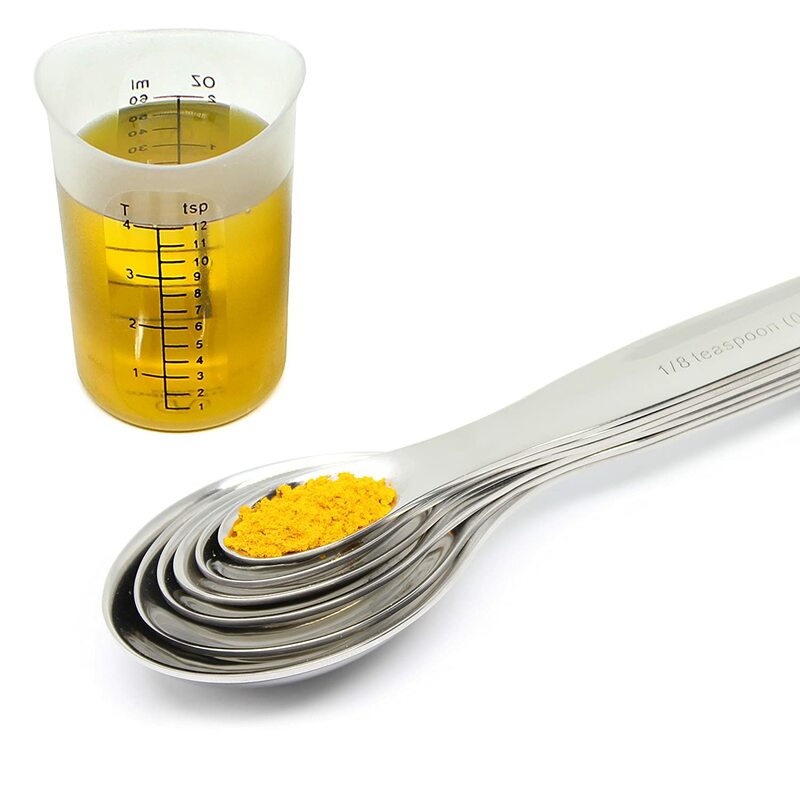 To get the 2/3 teaspoon to tablespoon measurement, you can simply eyeball the whole thing. So, just fill up a Tablespoon until it’s almost full – that will do. Another way to do it is to simply measure out 2 Teaspoons (to add to the 10 Tablespoons) since 2/3 Tablespoon is also equal to 2 Teaspoons. Look at the note at the bottom of the chart, it says 1 Tablespoon = 3 Teaspoons. Now, it can be a bit hard to measure ingredients (especially liquid) in spoons as they can spill. In this particular case, you need to measure out 10 Tablespoons and 2 Teaspoons, right? Obviously, the chances of spilling will be there – and we don’t want to waste food. So, if you have a digital food scale, you also have the option of using this in converting the cup measurement into grams (instead of spoons). Just follow the instructions below. Make sure that the reading is on zero. Put 1 Tablespoon of the ingredient on the weighing scale. Multiply the result by 10.67 (This is simply the decimal representation of 10 2/3 Tablespoons). You will now have the final result of 2/3 cup converted into grams. So, just fill the saucer or cup on the food scale with the right amount of ingredient and you’re good to go. To explain further, take a look at the example below. Let’s say that 1 Tablespoon of an ingredient shows that it weighs 14.79 grams. Since you need 10 2/3 Tablespoons, just multiply that by 10.67. In this case, the answer is 157.8093. Now, round that off and you’ll end up with 158 grams as the final result. Yes, for this example, 158 grams equals 10 2/3 Tablespoons (which is also equal to 2/3 cup). 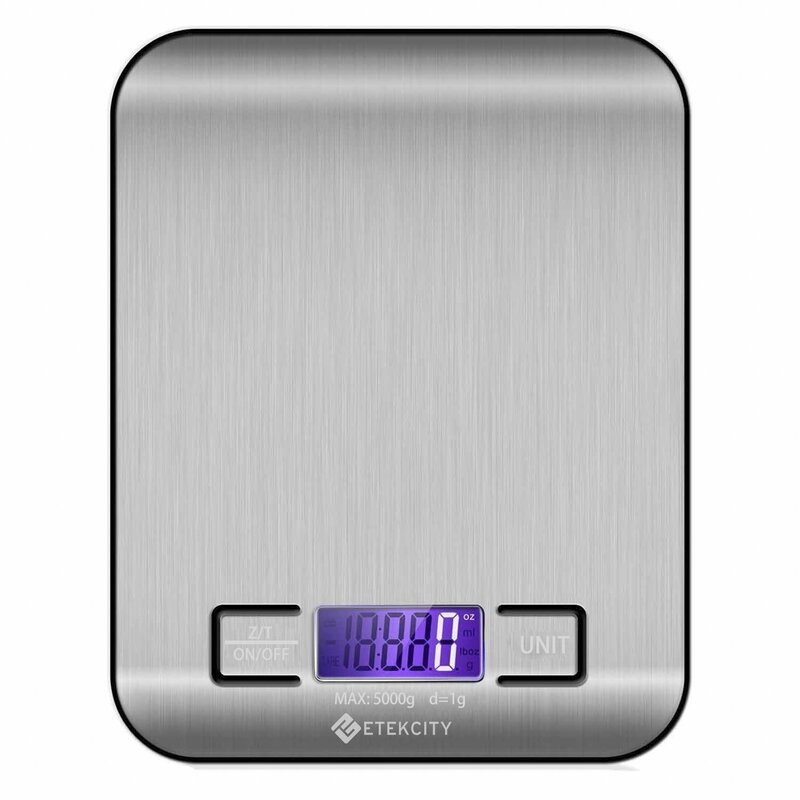 As you can see, it’s also helpful to have a food weighing scale in your kitchen. In the example given, it simplified the process of measuring 10 2/3 Tablespoons, right? Expect fewer spills with this technique (and less waste as well). So, there you have it. You now know how many tablespoons there are in 2 3 cups. And you also know the different ways on how to convert tbs to cups easily. For an even easier life in the kitchen, try to acquire as many cooking devices as much as possible. In this particular case (the case of measuring ingredients), I would suggest owning a good set of measuring spoons, measuring ﻿cups, and a digital ﻿﻿﻿food scale. Click on the links to get them from Amazon. Come to think of it, you won’t even need to go through the process of measuring tablespoons to cups IF you own a measuring cup. With a measuring cup by your side, a recipe that calls for 2/3 cup of an ingredient can be easily measured by filling up the cup up to the 2/3 label. It’s really a useful (and affordable) measuring tool, you know. All standard measurements are clearly labeled in a measuring cup. I suggest getting a 2-cup capacity for more functionality (as some recipes require 2 cups of an ingredient). 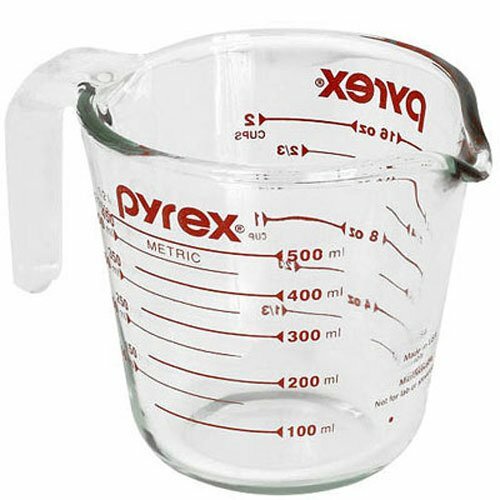 Also, in choosing a measuring cup, I would suggest getting one that also includes measurement in ounces (yes, in the same cup). You can use this feature for recipes that use ounces in measuring ingredients. Click here to buy one from Amazon. 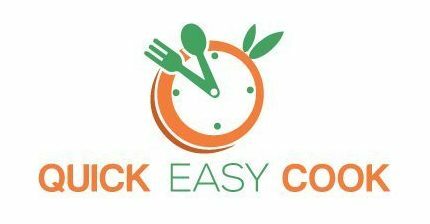 By having an arsenal of cooking tools in the kitchen, the process of preparing meals will always be enjoyable and easy. For more cooking measurement and conversions like Oven Temperature, Abbreviation, UK tablespoon, Length Measurement, c﻿﻿heck out this infographic. Cooking Measurements Conversions on "Kitchen Cheat Sheets"